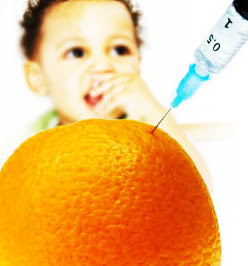 Many scientists and experts, and a 2011 medical study, have connected the accusatory dots from the alarming rise of autism in U.S. children to the explosive growth of genetically modified foods, industrial-made foods, and pesticides in U.S. diets and homes. "California's sevenfold increase in autism cannot be explained by changes in doctors' diagnoses and most likely is due to environmental exposures, University of California scientists reported Thursday. "The scientists who authored the new study advocate a nationwide shift in autism research to focus on potential factors in the environment that babies and fetuses are exposed to, including pesticides, viruses and chemicals in household products..."
"What is it that is damaging the health and well-being of so many of our children? Don Huber, PhD, professor emeritus from Purdue University, has an idea. Although the biotech seed companies like Monsanto claim that their genetically modified organisms (GMOs) are harmless, that’s not what the independent scientists are finding." A peer-reviewed medical study, released in April 2012, clearly linked the "autism epidemic" with industrial food-product ingredients, especially high fructose corn syrup. Such ingredients were found to exert toxic influences on developing brains in unborn and young children. Dr. Irva Hertz-Picciotto, a University of California, Davis epidemiology professor, agrees with millions of parents of autistic children that federal officials and industrial food corporations over-blame genetics and parenting, while virtually ignoring environmental forces as contributing factors to the astonishing spread of autism in U.S. children. "There's genetics and there's environment. And genetics don't change in such short periods of time," commented Dr. Hertz-Picciotto to the press. Dr. Arden Andersen, physician as well as author, soil scientist, and former farmer, states it more bluntly: "It appears there is a direct correlation between GMOs and autism." 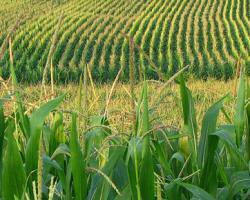 Why does the U.S., via the USDA, condone, protect, and support GMO crops and foods? Why has the US not joined more than 50 other countries in mandating that GMO foods be clearly labeled for consumers? 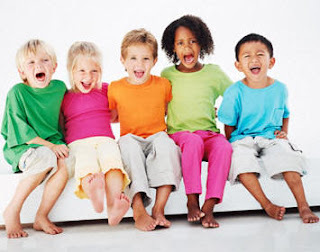 Why is the U.S. government not actively investigating links between the alarming rise of autism in U.S. children and the explosive growth of genetically modified foods, industrial-made foods, and pesticides in U.S. diets and homes? Why is our elected government protecting industrial food corporations over public health? Over the very health of our children? America's ailing children desperately need solutions, and answers to these terrible questions.